Health informatics is a robust, and growing, field at the nexus of healthcare and technology. 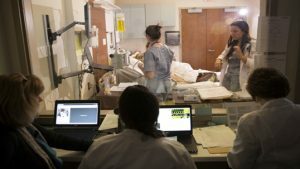 According to the U.S. Bureau of Labor Statistics, the number of jobs in the field is projected to grow twice as quickly as overall employment through 2022, rising 22 percent.1 Demand, however, varies across the U.S.
Job markets where demand for health informatics professionals is expanding quickly can be found in regions throughout the U.S., according to data from job market analytics firm Burning Glass Technologies. Here’s a look at the areas with the most-vibrant job growth. In Michigan, Illinois and Missouri, institutions are engaged in cutting-edge research in informatics, while at the same time, job demand also is high in more-rural states, like South Dakota, which are innovating in areas such as telemedicine. A focus on informatics and health IT in California’s Silicon Valley is being echoed by innovative efforts to integrate healthcare data in Oregon5 and Arizona,6 two states with high job demand. Employers in the health informatics field also are looking for individuals who are good communicators, researchers and problem solvers. The University of Scranton’s Master of Science in Health Informatics program is at the cutting edge of this emerging field. The program’s faculty includes top-tier professionals whose firsthand experience in solving complex healthcare problems can help you become the health informatics expert your organization needs. To learn more about the Health Informatics program at The University of Scranton, click here. New Master of Science in Nursing Program! Master of Science in Nursing (MSN) with a focus in Executive Nurse Leadership! Don’t forget about our other Nursing graduate programs, Adult-Gerontology Clinical Nurse Specialist (CNS), MSN, Doctor of Nursing Practice (DNP), Family Nurse Practitioner, MSN, and Nurse Anesthesia, MSN. In today’s health care fields, technology is ever changing and progressing at a rapid pace. From patient satisfaction to innovative engagement interaction, the health care industry is paving the way for collecting and analyzing data. The Affordable Care Act provides hospitals incentive to provide better care while at the same time increasing patient satisfaction. Because patients have more choices than ever, it is important that hospitals encourage innovative and effective patient engagement. The way technology is progressing today, is by having patients participate in their own healthcare. Healthcare providers are empowering their patients by encouraging them to track their own health progress from diagnosis through treatment and even into recovery via handheld devices (mobile and tablet). Patients are using two-way communication to connect directly, by receiving medical notifications via mobile apps and asking doctors questions in real time. By removing the human error of not following up with doctor referrals, automatic referral requests are now being sent ensuring the continued care of patients. Electronic medical records (EMRs) are just the tip of the technology iceberg. Now, the industry is using data warehouses to not only keep providers informed, but they are enhancing patient care by bringing a broad data range of figures together to predict the best methods of care. Metrics such as outcomes, lifestyle, biometric, and genomic data points are being combined together to create smarter approaches to care. The future for the healthcare industry is bright. Products like electronic underpants used for bedridden patients to prevent bedsores, and bacteria killing light bulbs are currently being tested. Machines like robotic smart nurses are being invented and produced to assist human nurses with daily activities like moving patients between beds by wheelchair. 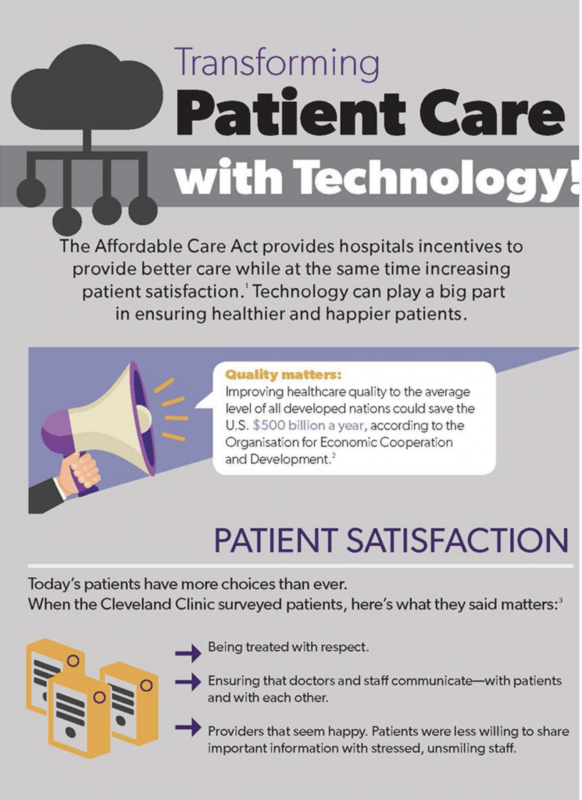 Click the infographic below to see the impact technology is having on the health care industry and improving patient care. Health informatics is one of the hottest areas of health care. But the fact that it forms the junction of health care and information technology makes it an attractive target for cybercriminals. They have proven adept at infiltrating health care institutions using a variety of tactics. The U.S. Department of Health and Human Services Office of Civil Rights, for example, provides a Breach Portal with some startling statistics.1 The portal shows that data about more than 120 million people have been compromised in more than 1,100 separate breaches at organizations handling protected health data since 2009. The reason attacks can successfully skip past the various layers of health care security technology in place is that cybercrime has evolved to encompass many different attack vectors. For many years, web-based threats posed the most danger to organizations. But according to Osterman Research surveys2, email is now the top avenue of infiltration into organizations, with social media becoming the fastest-growing sector of concern within cybersecurity. Health informatics professionals dealing with the security of patient information, therefore, may find that existing defenses are aligned more with web-based threats while the email channel is relatively poorly protected – hence the rise of phishing in its various forms as the bane of the health care security world. Phishing emails are sent to large numbers of users simultaneously and attempt to “fish” sensitive information from unsuspecting users by posing as reputable sources. In health care, the ploy is to trick the user into either clicking on a link to infect the PC, open an infected attachment, or go to a fake health care website to enter login credentials, financial information, social security data, or credit card details. According to the Verizon 2016 Data Breach Investigations Report3, 30% of recipients open phishing messages. Another 12% click on attachments. Spearphishing is a targeted form of phishing aimed at specific individuals or a small group. The instigator has studied the health care provider, gathered information from social media sites, and is determined to con a hospital administrator or clerk into handing over the keys to the kingdom. With data such as travel plans, family details, employment history, and various medical affiliations being on public view in Facebook, Twitter, or LinkedIn, emails that seem to be legitimate often successfully fool users into compromising the network. A watering hole is a place you tend to visit frequently and which is trusted. This might be a regularly used website, a partner’s portal, or a vendor marketplace. By compromising that location, the bad guys seek to piggyback one’s access into the corporate network. Cybercriminals have gotten clever about registering website URLs similar to legitimate health-care sites4. Healthcare.gov, for example, has Healthcare.com, Healthcare.org, Healthcare.net, Health-Care.org, and Obamacare.com piggybacking off its good name, with many of these sites looking for personal information. As medical systems and devices adopt more wireless and web-based technologies, the risk of exposure to malware magnifies. This is so much the case that the Food and Drug Administration issued an alert about cybersecurity to manufacturers of medical devices, and hospitals with regard to their networks.5 In essence, embedded computer systems inside medical devices can be compromised or even used to infiltrate health care security networks and databases. Hospital networks may are vulnerable because of unauthorized access, and out of date antivirus software and firewalls. Perhaps the most dangerous threat to the health care industry is ransomware . Instead of merely infecting systems with nuisance ads or spam, such an attack shuts down a desktop, a server, or an entire network. The most famous strain is the Cryptolocker malware and its numerous variants, which encrypt files and demand a ransom in order to receive the key to decrypt the files. As a result of threats such as these, the discipline of health informatics demands a deep understanding of cybersecurity. 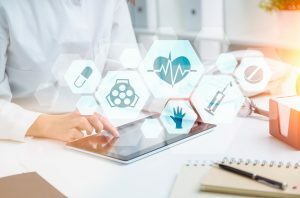 In addition to data analytics, mobile health, population health, and mobile health apps, The University of Scranton Online Master of Science in Health Informatics program gives graduates a grounding in health-care security. This includes how to combat web-borne threats, how to detect network incursions as soon as they occur, how to isolate suspicious behavior and detect malware that has found its way past the firewalls, and how to develop strategies to defend against phishing, and more. Armed with these skills, those graduating from the program are going to be a sought-after commodity in the job market. The primary role of hospitals is to administer quality care, but, behind the scenes, hospitals are large institutions that run like any big business. That’s why successful hospital administrators must combine a passion for the well-being of patients with managerial know-how. The former may be why you entered the health care field in the first place, but developing business skills could help you take your career to the next level. Not sure how to build those skills? 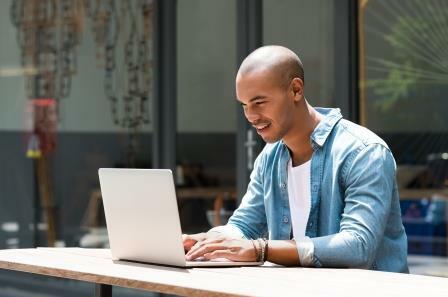 Enrolling in an advanced educational program, such as The University of Scranton’s online Master of Health Administration program, will help you improve in the areas where you may need some help. The health care industry can be extremely competitive and receiving a master’s degree can take your career even further. The mostrespected master’s in health administration programs in the country are backed by The Commission on Accreditation of Healthcare Management Education (CAHME), the only organization that can officially recognize programs offering a master’s in healthcare management. Employers know that job applicants with a CAHME-accredited MHA have received a quality education, honed the necessary skills and built a network of industry contacts, all of which helps them excel as hospital administrators. As one of the only CAHME-accredited online MHA programs, The University of Scranton’s Master of Health Administration degree gives graduates a leg up on the competition when applying for jobs. Hospital administrators are the executives of the hospital. On a big-picture level, they are expected to inspire the organization to deliver the best care possible.1 Day-to-day responsibilities include overseeing staff and ushering in new policies. Leadership skills, as well as an ability to command respect, are necessary to excel in the role. CAHME-accredited MHA programs arm future healthcare leaders with the analytical skills they need to determine the best course of action for their hospital. The job calls for solutions-oriented professionals who can make informed decisions by looking closely at data and predetermined goals. Healthcare administrators must have high ethical standards.5 Many of the hospital’s decisions fall on the administrator and possessing a steadfast moral compass ensures the right ones will be made.6 The University of Scranton’s Master of Health Administration builds Jesuit values into the program to ensure graduates are ready to make ethical decisions in the field. This is an exciting, yet challenging, time to be in the healthcare industry: Baby boomers are expected to live longer than previous generations, which will place more demand on hospitals, and the Affordable Care Act has changed the way care is provided and how it’s paid for.8Adaptability is a key skill if hospital administrators want to keep up with the ever-shifting healthcare landscape—and they will need to. Administrators must be willing to challenge the status quo and usher in appropriate changes. 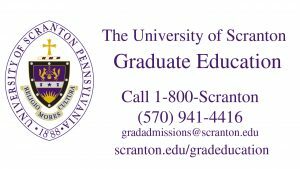 For more information about The University of Scranton’s graduate MHA programs, click here.